The department was founded in 1997 with the mission to provide programs of study that are technically sound and are able to create professionals capable of adapting to changing needs of their future work environment. 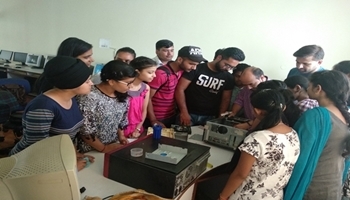 The vision of the department is to provide the students with the broad theoretical framework needed to understand the ongoing changes in the field of computing technology and to lay a foundation of the timeless science of computing. The department runs graduate, and post-graduate diploma and add-on courses. The department has a team of highly competitive staff who are determined and dedicated to the department. The department has 4 laboratories for enforcing practical-based education. There are smart classrooms with projectors installed. 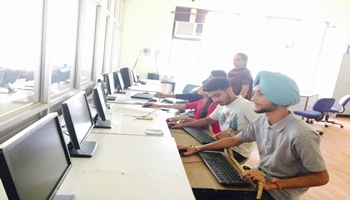 The students at the Department have the unique opportunity of working in various development environments like MS-DOS, LINUX, MS Windows, Unix and Database. 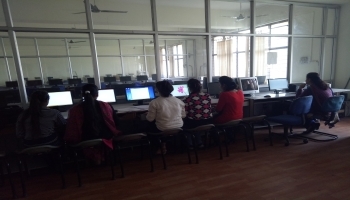 The students also have the opportunity to work on Internet development tools among other Visual and Non-Visual ones. 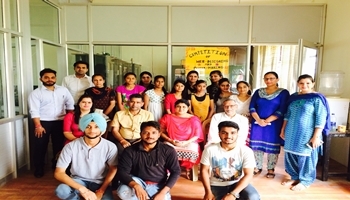 Bachelor’s degree of Panjab University under 10+2+3 system of examination with at least 50% marks, in any discipline. OR (ii) B.E. / B.Tech. OR (iii) Any other examination recognized by the Syndicate as equivalent to (i) or (ii) above. A person who has passed +2 examination in any discipline with at least 50% marks and passed Mathematics as one of the subject at Matriculation examination level shall be eligible to join the first semester class of B.C.A. Course. NOTE:-(i) 10% weight-age be given for each subject of (Mathematics/Statistics) and (Computer Science/Computer Applications/Information Technology or equivalent) to the candidate who studied at 10+2 level at the time of admission in B.C.A. 1st Semester from the admissions of 2015. That 20% weight-age in total to those students who studied (Mathematics/Statistics) and (Computer Science or Computer Applications or Information Technology or Information System) at +2 level be given. 2. Apart from Curriculum, students are taught various latest software’s, website development tools, and hardware assembly tools. 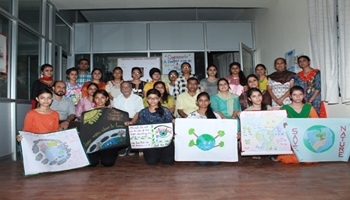 3.To help students to attain proficiency in problem solving techniques. 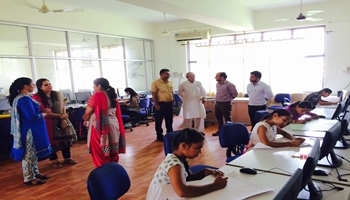 4.To provide breadth and depth of knowledge in computer science. 5.To provide practical exposure in various subjects. 6.To incorporate the reading habit in students. They are encouraged to read the IT magazines like Open source, Digit, PC World etc. 7.To make them more technology friendly and teaching them the correct use of technology for productivity improvement. 8.To encourage the use of ICT and encourage paperless transactions. 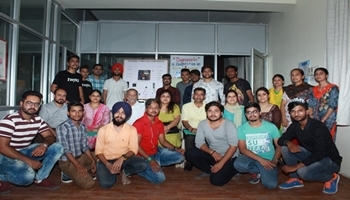 1)	Summer Workshop on “Website Development Tools” was organized in june to give practical knowledge to the students on CSS, HTML, Bootstrap etc. 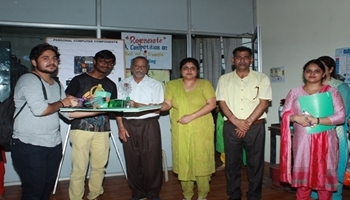 4)	A new college website was developed and is updated regularly. 5)	A 10 day winter workshop was organized in which students of various streams participated and learnt basic website development tools. 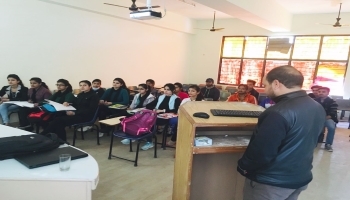 7)	A 10 day workshop was held in Feb, 2018 to teach basics of computer to the support staff of college. 8)	School visits are performed by our faculty members to make the students aware of benefits and job prospects of doing BCA. 1.The department would like to organize various workshops, seminars, guest lectures, PPTs to enhance the confidence , practical knowledge and hence the employability of students. 1.3 Computer Labs and 1 NRC with more than 70 computers. 2.Educational tours and Experienced Faculty. 3. Interactive classroom teaching through case studies. 4. Audio Visual Equipments such as Multimedia projector. 5.Liberal concessions and scholarships for brilliant and needy students..
2.One Multimedia and 3 other projector. 3.Installed Windows 7 and 8 and Linux . 4. MS Office 2013 and Open source Office package. 5.GCC,Java,Visual Studio,Oracle are also available for student. 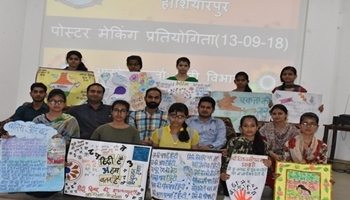 Department of computer application organised a workshop in which student were guided about various career opportunities after BCA.The student of BCA-I,II and III attended the workshop and got to known about the scope of BCA . 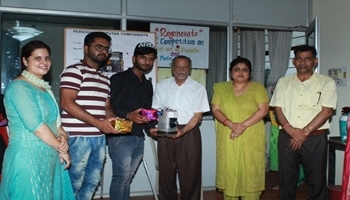 Mr.Sunil Kumar of computer department organise workshop.